The federal government shutdown, which began on October 1, is over. Yesterday, the House and Senate passed the Continuing Appropriation Act, 2014 which was signed into law by President Obama. This legislation funds the government through January 15, 2014 and extends the debt limit to February 7, 2014. With the federal government re-opened, all government websites should now be available. This includes popular sites used by students and faculty, such as the Census Bureau, USA Trade Online, data.gov, and many more. Due to the federal government shutdown, many U.S. government websites are unavailable or will not be updated with new information. In addition, the U.S. Dept. of Defense website is available, with limited updates. The U.S. Dept. of State website is available and appears to be updated as of this writing. The U.S. Dept. of the Treasury website is available and portions of its website will continue to be updated. Absolutely Everything You Need to Know About How The Government Shutdown Will Work. Washington Post, September 30, 2013. Government Shutdown: What’s Closed, What’s Open? CNN, October 1, 2013. The Government Shutdown and Libraries. American Libraries magazine. 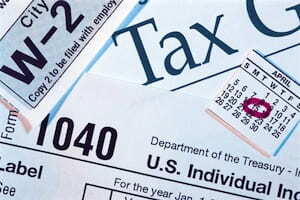 The library no longer receives tax forms in paper format.